Are we moving? … Yes we are. Tokens are being traded on our decentralized AE, a team of 5 fabulous veteran Nxters attended Bitcoin 2014 , Cointropolis are on fire, and next up is PayExpo, where Nxt is official “Crypto Currency Partner”. And the code behind all this? Lean back, grab a hot Nxtpresso and dip in to the blockchain. Finally www.NXT.org, the “official” NXT site, is live!This site is going to serve as a entry-level site for anyone who wants to learn about NXT and get setup. It’s our goal to help our community and ecosystem grow as much as possible. It’s launched, it’s looking swell, and more content will be added. Any donation up to 100,000 Nxt will be doubled by the community fund until May 28! NXTkey is a USB Device which acts as a USB HID Keyboard device. The nxt logo on the pcb acts as a touch key. Holding the NXT logo for a second types the selected pass phrase. Swiping the NXT logo selects another nxt account if there are more than one pass phrase stored in the device. NXTkey could also act as a transaction signing device after a software update. Your pass phrases doesn’t leave the device, transaction are signed onboard. This will give a huge security improvement! There is a chance Nxt could be presented on Payexpo. As a competitor not to Doge, Ether or Mastercoin, but to Bitcoin. To be presented straight to the top payment companies. – http://www.payexpo.com/Content/Who-will-I-meet/8_58/ – to demonstrate market leadership to the audience of payments decision makers and influencers. We need roughly 650k NXT per this thread https://nxtforum.org/nxt-promotion/payexpo-london-11-12-june/. — this could be huge for NXT. Waters were split and discussions loud. What’s up with the price tag? Who can go? Is Nxt even ready? We raised the money in NXT for the Payexpo fee. The site will, just like the game, evolve. For those curious what D.O.R.C.S. stands for, it’s Decentralized Online Roleplaying Currency Studio. DORCS aren’t eager to present more to the community before it’s all in place. Patience, fellow Nxters. iOs App with old school games – and a twist. What is the speciall thing on NXT MANIA GAMES? Your able to play against other and bet nxt on your win. When a other player joins the room and accept die 50 Nxt Game- you will play against him. that means he will get 98 NXT and the other 2 NXT will go to all investorts of NXT MANIA GAMES. Another promising game that was to being built on top of our blockchain was NOXAM. Last week the game and the company behind it was suddenly cancelled because of lack of funds. NewNxtGames is paying back investors. I will buy up all other shares for 2 NXT. That means that in average you loose about 1 NXT per share. I think that is the most fair method. The buy order will stay for as all as there are shares. Thank you all for trusting me. I will take this matter as settled and will move forward. Respect, NNG. Scammers are hunted down, simple mistakes are forgiven. Best of luck! The main developer of this service is now member of the Nxt Core Dev Team. NXTlegal is a non profit Project to help Nxt in the legal section. NXT Legal is a non profit Project to support Nxt Community with legal issues. The new digital economy is being built and we want to help to make it as strong as possible giving information and legal advice to solve any problem that could prevent its development. Decentralized p2p systems, are almost imposible to control and regulate because of its nature, however we think that law should be respected as much as possible, and that is why we will be giving support. NXT Legal will be divided in 4 groups of work: ASIA, EUROPE, NORTH AMERICA and SOUTH AMERICA. Nowadays we just have people in EUROPE (Spain, Portugal), and we are working to fill each section, so if you want to work and cooperate with us, fell free to join. We will be working and updating soon, Thanks. We have made the announcement that we are working on the very first Fiat Exchange for Nxt! If you are interested in Beta testing, please apply below. Even though we are only accepting 30 beta testers at the time, we will definitely invite a batch of users from time to time, so it’s worth applying now! [Bannercoin] is based on Cfb’s lakshmi idea. By inserting the bannercoin HTML to their webpages, webmasters will accumulate bannercoins for every minute they have a visitor on their site. If a market for bannercoin emerges, it would be possible for websites to remove their annoying banners. then again there are 20+ people in TEAM now, so maybe the timeframe will be faster than I expect. I’ve just set up the NXT_Carbon fund, financed via an AE asset issue.This means, regardless of how much i raise via this fund, that we can now truthfully claim that NXT is carbon-neutral and very environmentally friendly. [Almost] Ready to release this paper, it shows that Bitcoin uses approximately 6,700 times as much energy as Nxt will when it reaches Bitcoin’s size. And the Bitcoin network costs 1800 times as much to run. Thoughts appreciated and mostly a heads up for the community that we’ll be trying to pass this info around soon. You can feel free to leave comments in the margins. I could also use help writing up a marketing infographic type thing/summary for this paper to be passed around at the upcoming pay expo. I’d like to announce a new feature. Today I committed code related to Economic Clustering (EC). This concept is a development of the idea of Economic Majority introduced by Meni Rosenfeld. Single-click installation and auto-update (mac only for now). To find tokens on the Asset Exchange you now have to search them by ID. Single-click installation (windows) and auto-update. Leasing feature not included yet. ..which will be the launch page for DGEX AE operations. Enjoy. If you’re using Firefox and having problems with the site, the shield icon should be clicked on. Profile view with open orders for each asset and a simple bar chart to block explorer. Assets are sortable for name, num. trades etc. and a keyword search for the description. Detailed stats and more data about all assets including full trade history will follow. Thanks, Nexern! The long awaited silver bullion gateway is now live on Nxt AE. Each token is a warehouse receipt for 1 troy ounce of 999 fine silver. Silver is deliverable in the form of 5 troy ounce silver bars. The minimum order size is 10 troy ounces per order. To receive physical bullion in exchange for tokens the bearer must send an amount of tokens divisible by ten to NXT address NXT-UWKJ-GFEV-AGY4-5C4YS along with an arbitrary message containing his/her mailing address. Both the tokens and the arbitrary message must be sent from the same NXT address. Bars issued by me and in good condition may be returned to me for full credit in warehouse receipts. This Asset has been created by @vbecas with the purpose being to help raise funds to expedite the completion of the Nxt AT project as well as to provide funding for ongoing Nxt AT consulting. Although exact details have yet to be determined it is envisioned that a percentage of contracted tasks (100% for automated tasks) will be returned in the form of dividends to shareholders. Supercell Investments is a diverse investments venture offering multitudes of financial services and investment opportunities. Our main market at the moment is NXT asset exchange and through it we offer our services. Passthroughs to external physical/digital assets and dividends forwarding, Asset management and software developments (autotrading engines and such). RBTrade, a built-from-scratch arbitrage trading AI/Robot trading across multitude of exchanges and trading platforms. Bitcoin Gateway on NXT asset exchange. Even though a gateway software is in the works by NXT development team, Supercell is taking another route and creating a custom one. 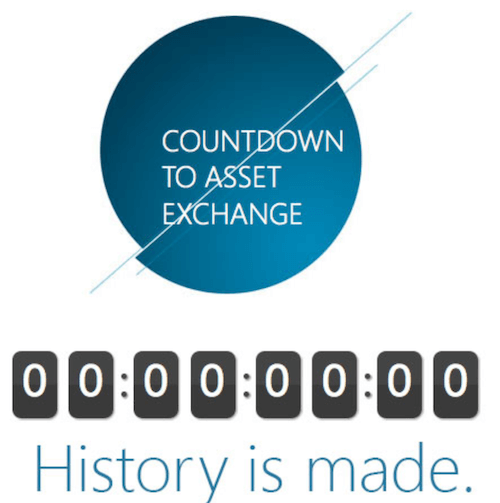 We aim to be the cheapest fastest way to move Bitcoin in or out of NXT asset exchange. MCXNow, a cryptocurrencies trading platform created and administrated by RealSolid. ASICMINER, a virtual identity totally held by investors of the Bitfountain company. BOOST is a branch of NXTventure [see below] that will act as a startup incubator for new NXT based companies. It will provide 0% interest loans to innovative people with projects in need of funding. It will also act as a conduit for small companies that want to become a qualified NXTventure listing. BOOST offers the ability to launch your company as well as the opportunity to become part of the TEAM family of NXT companies. BOOST is financed by donations and a 5% finders fee from NXTventure. Each asset represents .0001% of all BOOST holdings. Starting Wednesday, May 28, BOOST will begin accepting applications from up and coming companies in need of funding. We will be providing one GRANT to the company with the best proposal! NXTventure makes private investments in promising enterprises and adds value to each investment by proactively integrating it into NXTservices to add a valuable new service for the NXTcommunity. NXTventure will pay monthly dividends in the assets it acquires, net of trading activities during the launch period. The revenue model for NXTventure is to make wholesale private investment, add value, list the new asset, create a market and sell enough of the investment to recoup funds invested. The remaining assets acquired will be distributed to NXTventure asset holders. Promoters: jl777 + Cointropolis. TEAM for short, it stands for Team Everybody A Millionaire. OK, it does sound a bit like a game show, but I am serious. My goal is to make everybody on TEAM a millionaire. Not instantly, but in crypto a long time is six months, so over the next 6 to 12 months I am going to work really hard to make this dream a reality. At first it will be NXT millionaire, as in having over 1 million NXT, but the real goal is to be a real millionaire, like one million USD (or EUR). Now if we just got a million NXT and sat around and waiting, maybe one day NXT will be worth $1 and I guess that will work. However I am not one to sit around. I just dont like to wait. Let everybody else sit around, but TEAM members will be doing their best to make NXT worth more than USD. ShortNXT is an asset you can purchase on the NXT asset exchange that allows you to profit from a diminishing NXT exchange rate. In other words, if NXT gets cheaper, you get richer. I am in touch with the issuer and he wishes to remain generally anonymous for now. You can view his twitter here. I can vouch for this person’s credibility and he will follow through with his payment obligations. If you are interested in how the calculations work, you can post here and he will respond directly. TXT Coins Now is the Pioneer of Mobile SMS and Voice transactions along with many other innovations. There is approximately 1.5 billion users for such platforms as TXT Coins Now across Africa, Middle East and Asia. In those areas internet and Smartphones are not very available. Nxt Coin will be set as recommended coin of use for the platform. Cointropolis has been on a roll since they re-appeared in the community 3 weeks back. Feeding Nxters with tips and ideas, moving personally to get Nxt acknowledged and widespread. One of the primary projects for CoinTropolis is centered around bringing crypto enthusiasts and companies together to solve development, marketing and management challenges. CoinTropolis is in the process of finalizing our business plan around this project and will release an asset. The auction is ending soon. Last chance for applicants! The NxtSafe is a stylish accessoire for all Nexters. As a cryptosafe for your cryptocurrency it is the perfect complementary to your digital safe like keepassX. It’s totally analog and offline. No trojan can access it and no harddisk can crash, but the NxtSafe still encrypts your passphrase (or anything else)! It won’t decrypt your wife or girlfriend though, but might be a nice present loaded with some Nxt. More have been added to the corporate design mediazip file. We will be looking at adding NXT again in the future. Votes from registered users will be multiplied x10. The first and only exchange sharing 50% of its revenues to the community, Free of Charge. The first $999, open source commercial NXT ATM, everyone? We were tired of depending on centralized banks and exchanges for buying Bitcoins. So we wanted to come up with a solution that made it easy for everyone to become a Bitcoin exchange. All you need is a power cable, a wired or Wi-Fi connection, and some Bitcoins to sell. “As I understood, you will start integrating EgoPay shortly. It is great news for you and us. Promotion package full promotion via all the promotion channels they use (over 100,000 people in there). We can integrate them in the slipstream of the “bridge” project that l8orre is working on. Please update as 1.1.0 is somewhat broken. PM ChuckOne to get on the mailing list and receive such warnings. Not often a new piece of the puzzle has such a nice effect. Unsurprisingly, dyed-in-the-wool bitcoin-lovers have expressed doubt about some of NXT’s flagship features; unsurprisingly, some of NXT’s cheerleaders see these same features as killer advantages. But this is not the way to see the relationship between NXT and bitcoin. In fact, NXT offers features that can and likely will boost bitcoin’s adoption, as well leveraging bitcoin’s popularity to improve its own reach. One of bitcoin’s barriers to greater adoption is its exchanges. (…) One of the answers, both to state intervention and centralised control (and the consequent concentration of risk) is decentralised exchanges. NXT is likely to prove another bridge to bitcoin adoption – not because it offers better or different features as a cryptocurrency, but because of the functionality built into its ecosystem.